Do you want your kids to develop strategy skills while having fun at it? Then we recommend these top 10 best board games for kids. These are a range of games, some based on chance and others on skill that will keep your kids’ minds preoccupied and improve on their skills. Moreover, these games will give them a healthy break from watching TV or playing video games and help them socialize with their mates. This game involves tile drafting and placement mechanics. It can be played by 2-4 artisans with the recommended age being 8 years or older. Each game can be played for between 30 -40 minutes allowing your kids to engage their creative mind and skills while socializing. Furthermore, you won’t have to worry about the safety of your kids as the components of this board game are of high quality and easily accessible. Designed for 10 year olds and over, this is a poker style cardboard game that can be played by 2-4 players. It features an economic theme that enables kids to develop and improve their strategy skills while having fun. Each game can be played for up to 30 minutes which is plenty of time for your kids to do something else apart from watching TV or playing video games. This board game features wheels that move across the rooms to reveal secret passages. Players act as the Harry Potter character and their main task is to solve the mysterious disappearance of students from Hogwarts. It is a wonderful set for Harry Potter fans, is engaging and fun to play. 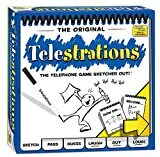 Consisting of over 1700 words, 8 dry erase markers, 8 erasable sketch books and 8 clean-up cloths, this is a board game for every one and can be played by up to 8 players. It does not require any drawing skills; players just stick figures for fun. Whether you are having friends over or just want to have some quality time with your family, this board game is a great ice breaker and guarantees fun for everyone. Designed for 3 to 6 players, this board game is ideal for kids aged 12 and older. It is a cooperative game designed to enhance sociability among kids and improve other skills. Each game is played for 60 minutes with multiple scenarios and a different layout for every game. It is full of suspense, funny and engaging especially for horror fans. 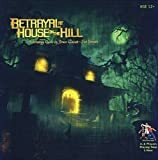 This is a cooperative game designed for 2-4 players. It involves a team of specialists trying to find cures for different pandemics before the world’s population is wiped out. With 60 minutes of play time, players are supposed to cooperate and come up with a cure. In this game, either all of you win or you all lose making it a truly cooperative game that will engage your kids’ minds as they try to come up with solutions. This is a tactical combat game for 1-4 players over 60 – 120 minutes. Players go through scenarios of shifting motives and are supposed to work together to clear dungeons and ruins out of necessity. 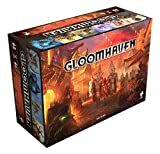 Players therefore develop and enhance their abilities and skills with this engaging and fun board game which offers different scenarios for each new game. Perfect for all ages, the Kubb game involves tossing the dowels underhand to topple your opponent’s blocks. It is a perfect outdoor activity that involves skill and strategy and fun and engaging. Ideal for BBQs, camping and parties, this game ensure no one has a dull day as everyone plays in an engaging and fun way. 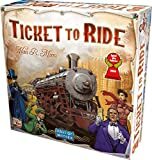 This is a train adventure game connecting cities across North America. It is played by 2-5 players 8 years or older with each game taking around 30 -60 minutes. Players earn points depending on the routes and connecting cities. This game is one of the most popular board games, is fun and engaging and will let your kids learn their Geography as they play. This is an adventurous board game where players seek to settle in a remote yet rich and resourceful isle of Catan. It is played by 3 – 4 players over 60 minutes where they explore and reveal the terrain of Catan as they seek to settle in it. It is fun, requires skill and strategy and a great way for young kids to build and improve on their social skills. Let your kids engage in these skillful and fun board games to help them improve on their learning and socializing skills. These top 10 best board games for kids in 2019 are very popular with multiple scenarios that leave no dull moment. You can play as a whole family or just when for you kids when they have friends over and a great ice breaker.